Wedding centerpieces can make or break your table décor at your reception, which is why most brides put a lot of thought into what they want their centerpieces to look like. 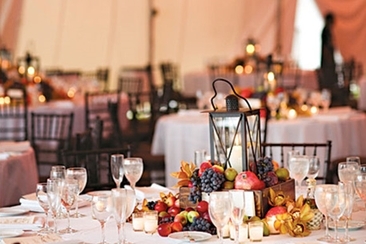 Here's something you may not have considered...having centerpieces with no flowers. Sound crazy? Well, it can in fact be very elegant and romantic, despite the absence of blooms. It can be a modern brides answer to a fresh, unique and fun table décor. Here are 25 of our favorite wedding centerpieces without flowers to inspire you. 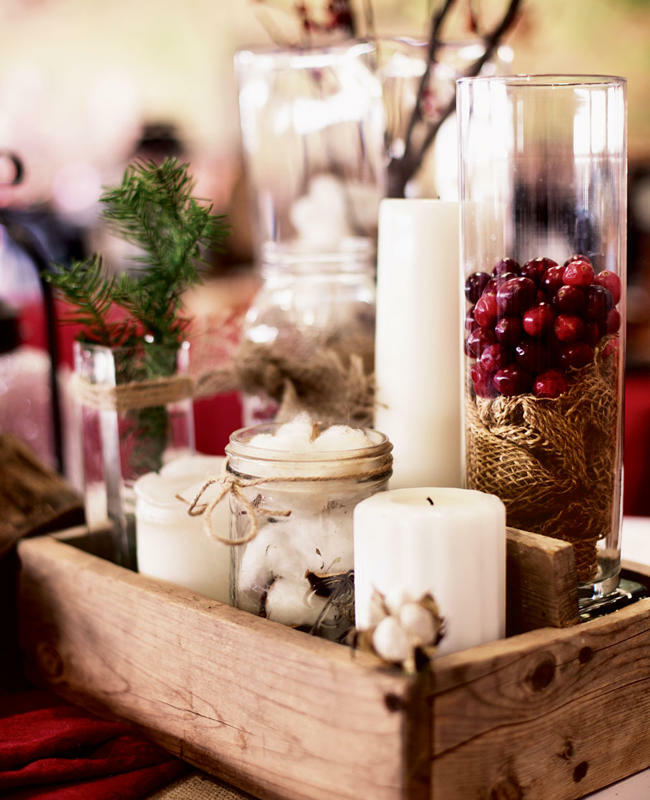 If you plan on a rustic reception, consider twigs held in place by jelly with tea light candles on top. Use cylindrical vases of varying heights to add interest. 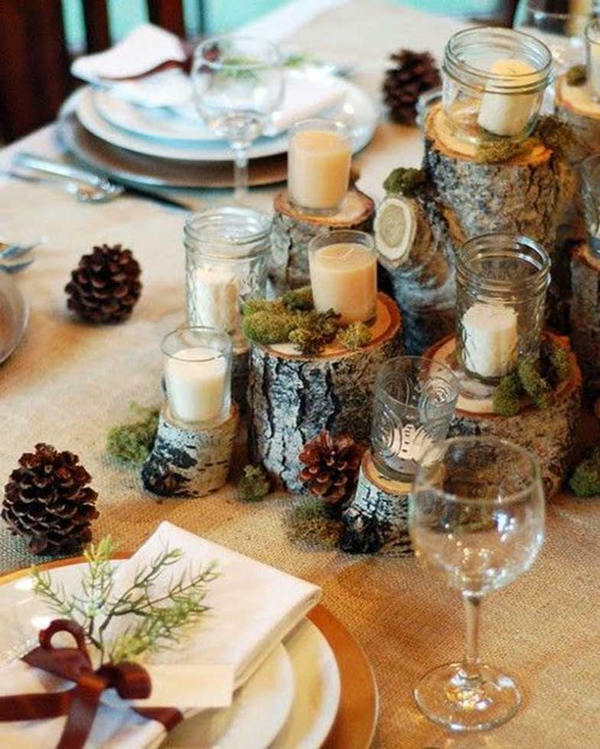 For a forest or wood-themed wedding you can use natural elements to create a stunning centrepiece. 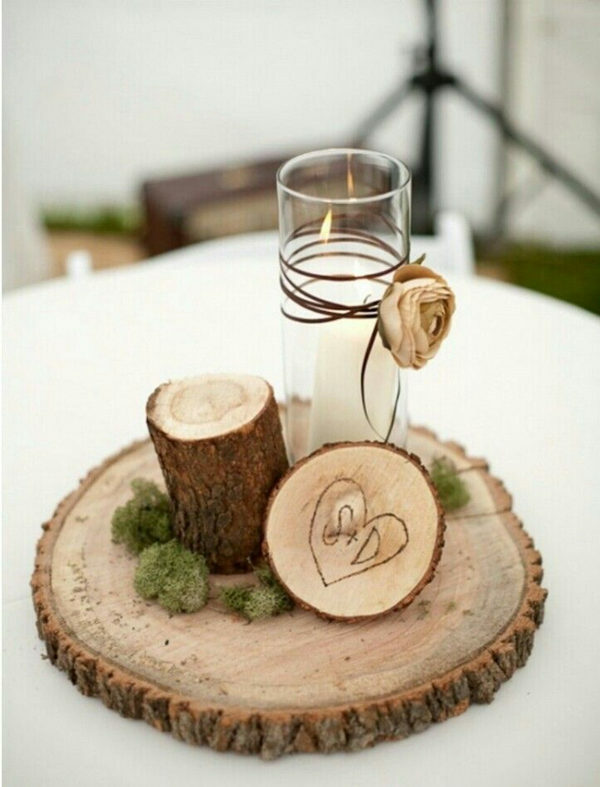 A round of tree trunk can be topped with bits of engraved branch, moss and candles for an outdoorsy feel. 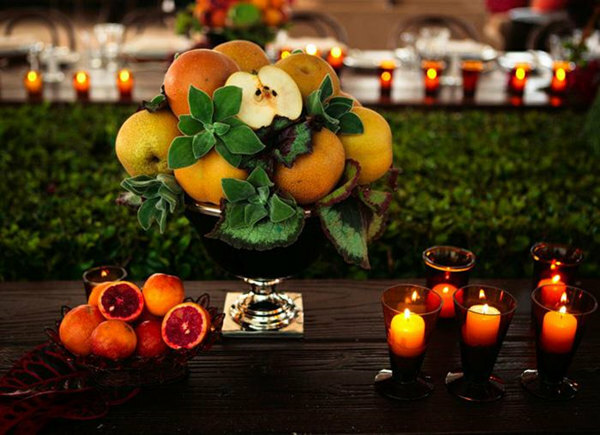 Bored of seeing orange and yellow arrangements at every Fall wedding? 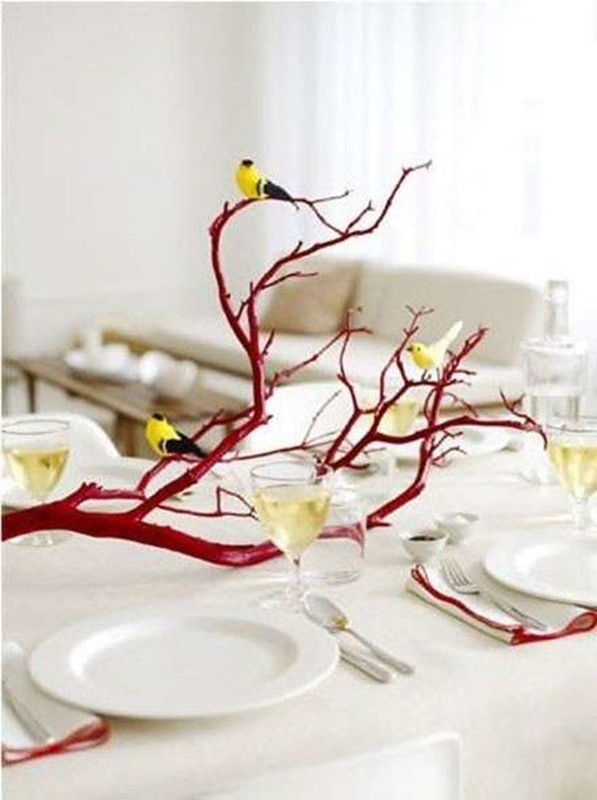 Be different and go for clear vases filled with twigs, river stones and floating candles arranged on a round tree trunk. Use pinecones instead of flowers. 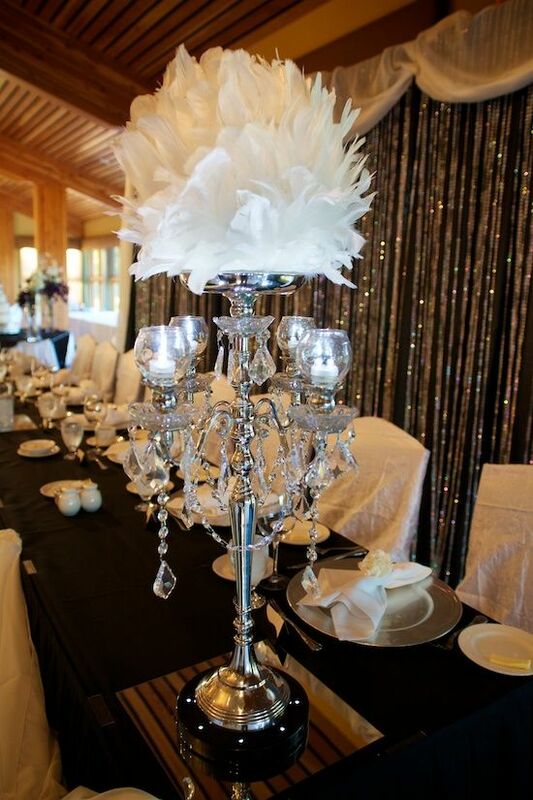 For a touch of old Hollywood glamour, create striking centerpieces and a dreamy atmosphere using white feathers and candles. Brides planning a beach-themed wedding need not go for cliché blue. 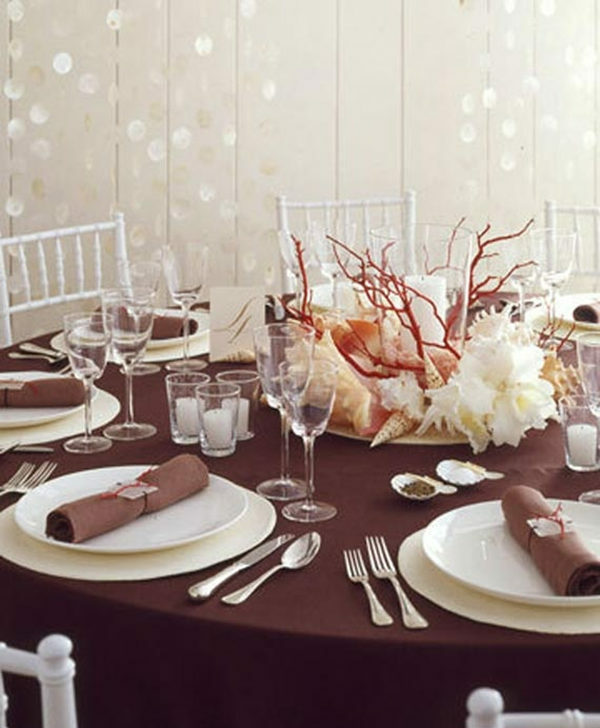 Choose neutrals like beige and white, using candles, twigs, coral and shells to create a beach-ready centerpiece. 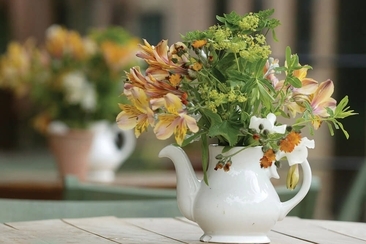 Summer weddings can be hot and result in wilting floral arrangements. Avoid a disaster by going for a centerpiece made of colorful summer fruits that your guests can enjoy (plus no wastage!). 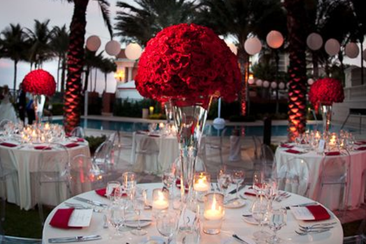 Ever thought that wedding centerpieces without flowers could be so attractive? 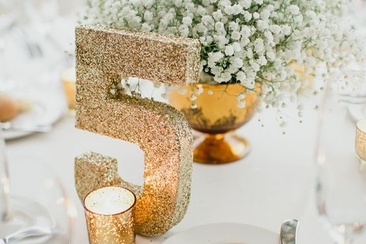 If you're a bride looking for a chic and more formal centerpiece, consider spray painting branches gold or silver and adorning in shimmering crystals. 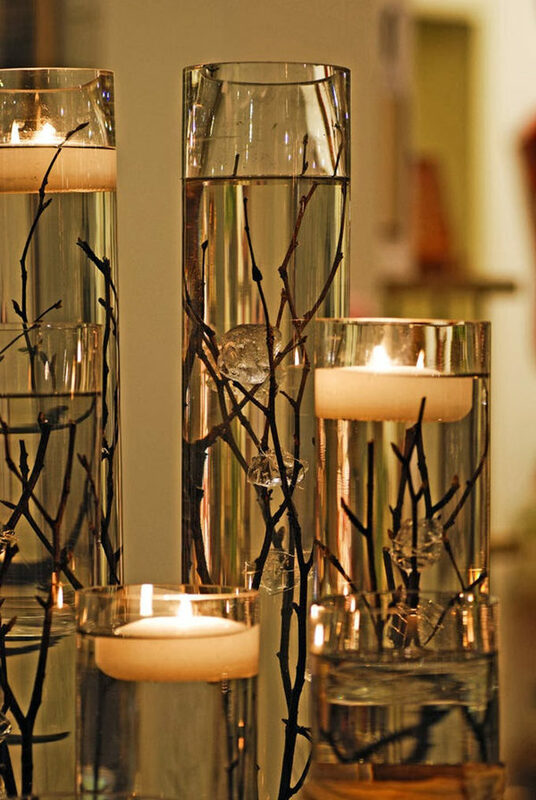 Surround with candles for a picturesque setting. Sometimes when you're on a tight budget, the simplest of things can have a big impact. 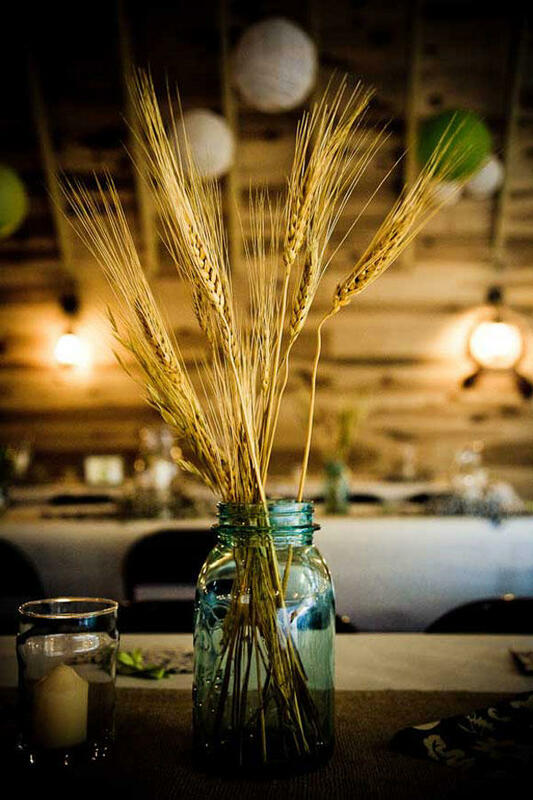 Wheat strands in a mason jar can look perfect for a shabby-chic wedding when surrounded by tea light candles. 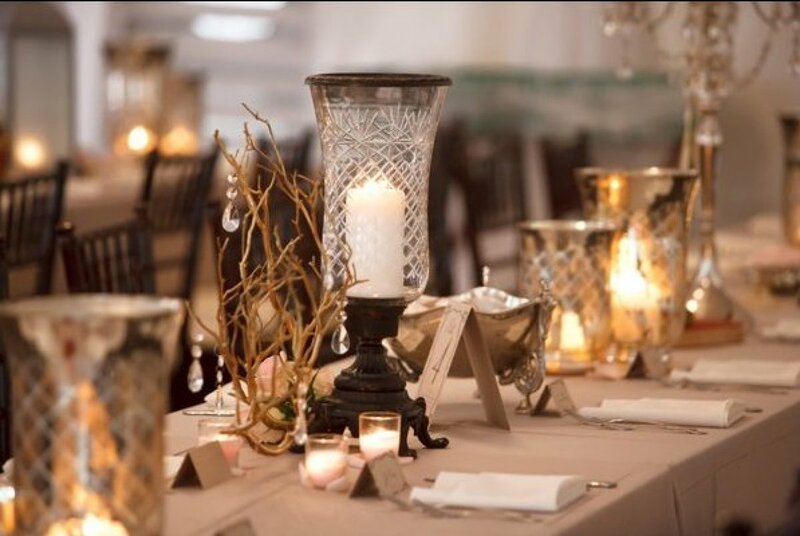 Vintage-looking candle holders can look stunning when using varying heights and styles. 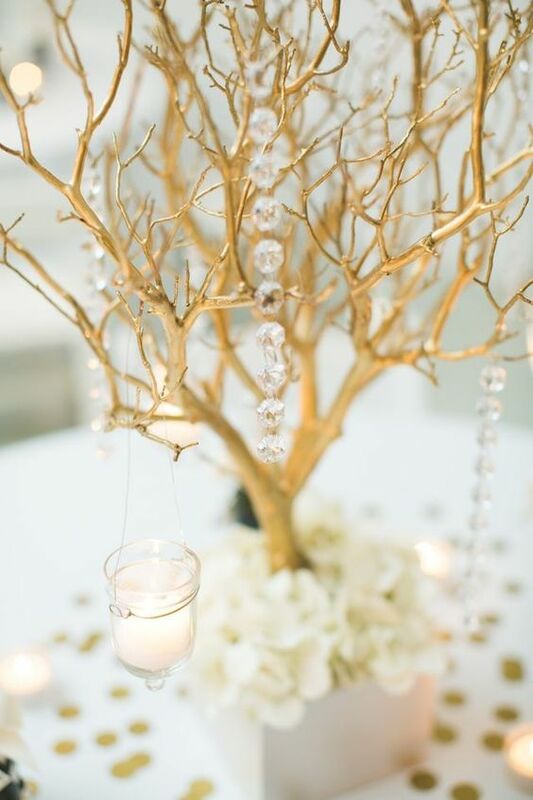 Add some metallic branches and crystals for extra glamour and voila! 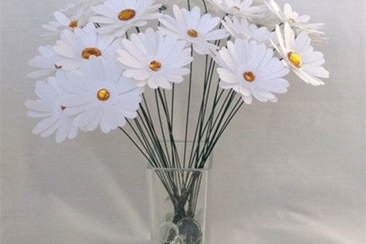 You have one of the most classy wedding centerpieces without flowers. Dynamite can come in small packages! Great for a winter wedding, hollow out bits of branch to cover small candle holders and tie with twine. Use them in small groups of odd numbers in the center of your table. Add sprigs of rosemary for some color and a fresh scent. Who says rustic can't be glam?! 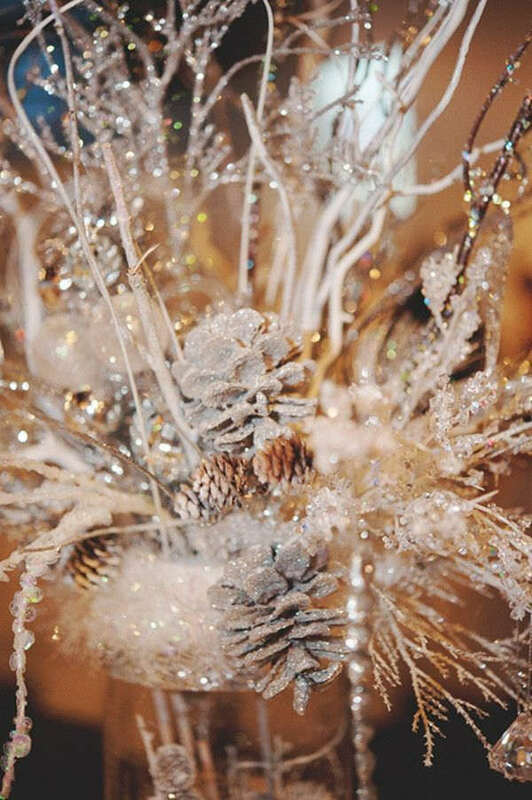 Cover branches and pinecones in silver or gold glitter and arrange in a large vase. Adorn the arrangement in crystals and beads for extra sparkle to create a winter wonderland. Make use of what's lying in your back yard by layering pieces of cut branch to create levels and depth. 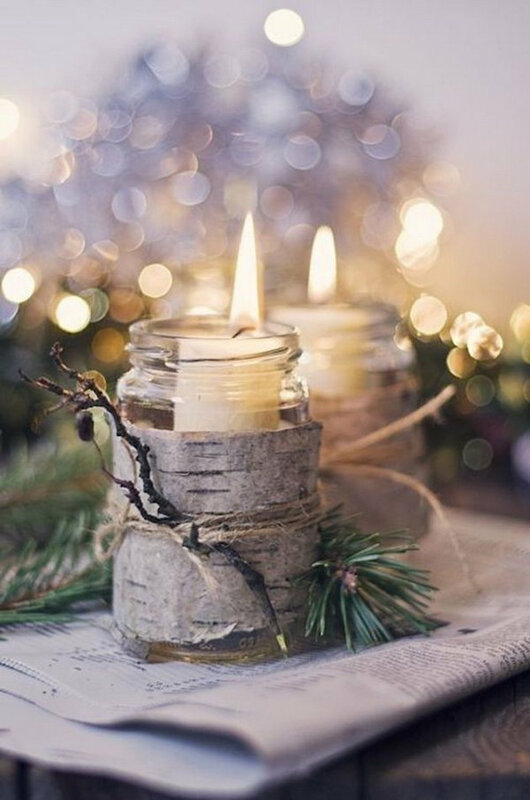 Decorate with pinecones, moss and candles for the perfect cozy feel. 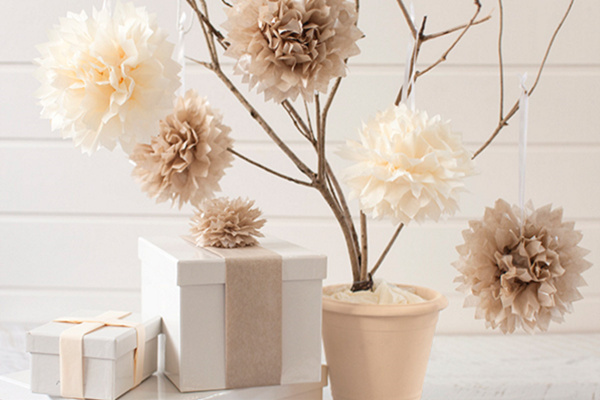 If your budget doesn't allow for flowers, you can still get the look with tissue pom-poms! Hang them on a branch secured in a large vase for a whimsical finish. The best part is you can choose whatever color your heart desires! 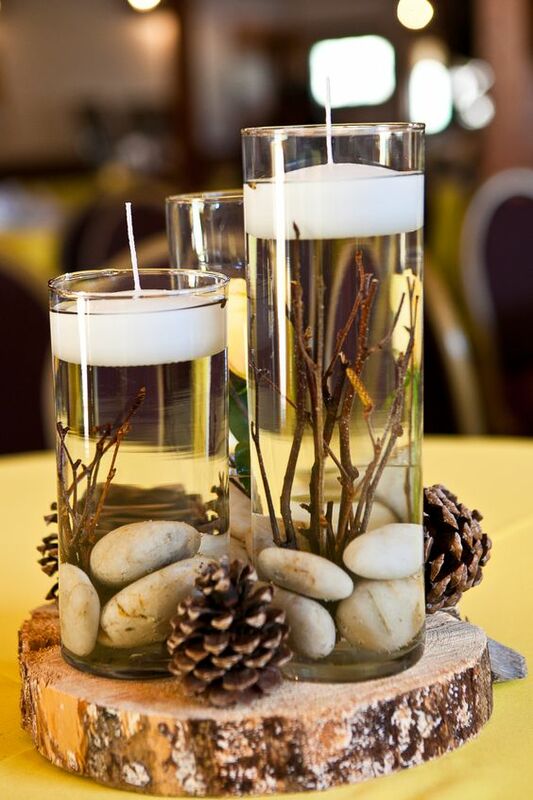 You can create a romantic, soft feel even if you choose to go for wedding centerpieces without flowers. 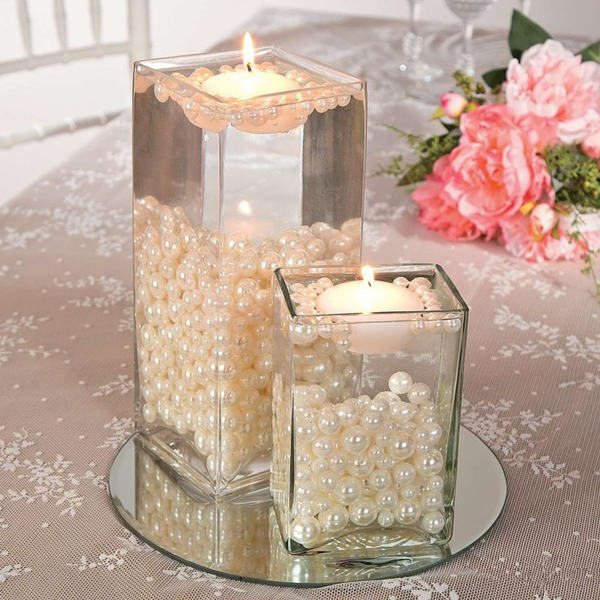 Arrangements made out of blush pink pearls and candles are kind to your wallet and look absolutely breath-taking. 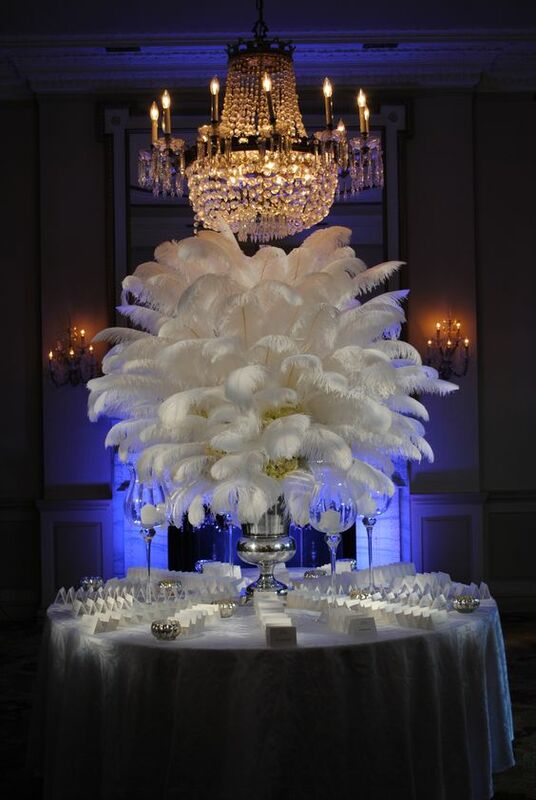 Go old-school glam by arranging feathers using a polystyrene ball as your base. Place on an ornate silver or gold candelabra for a seriously sophisticated centerpiece without a flower in sight. 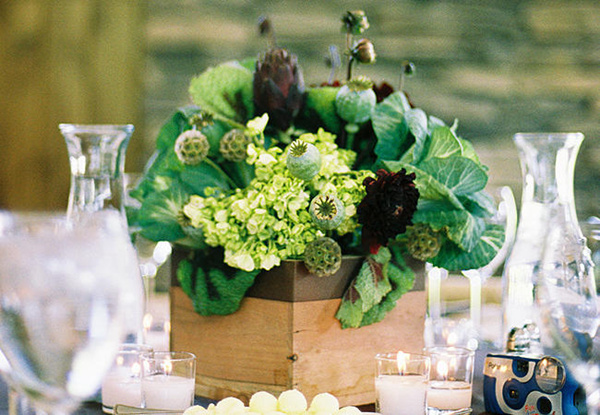 This simplistic and bright centerpiece is perfect for a low-key garden wedding. 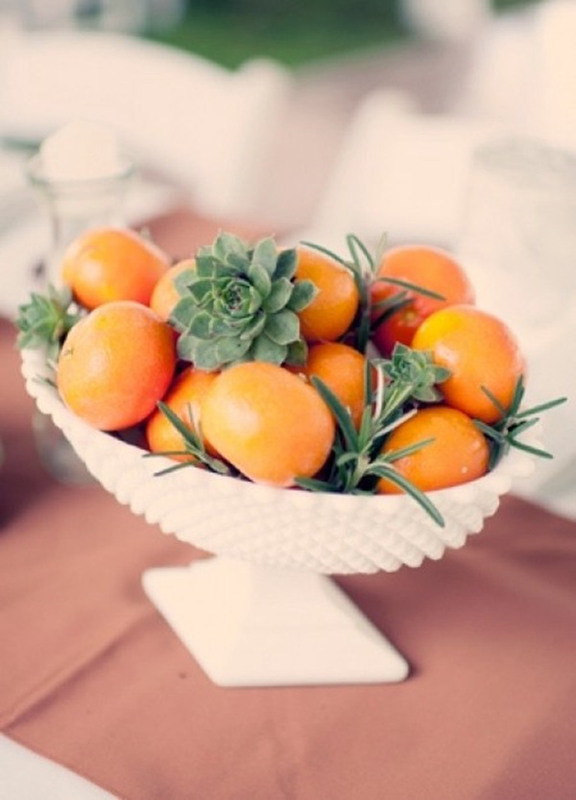 Arrange oranges in a large white bowl with succulents and sprigs of thyme to create one of our favorite fresh and unique wedding centerpieces without flowers. 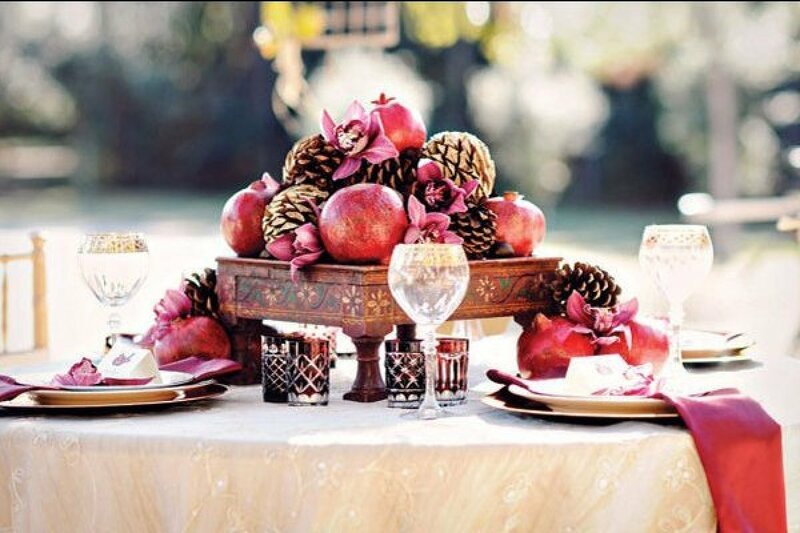 If your wedding colors are berry tones, pomegranates arranged with pinecones on a rustic stand can look fabulous. Dot vintage candle holders around the base for a warmed up winter feel. If you are planning an oriental-themed wedding and don't want to go for the 'been there done that' orchid, give a large branch spray painted a bright color a try. The sweet little birds perched on the shoots are a cute detail to consider adding. 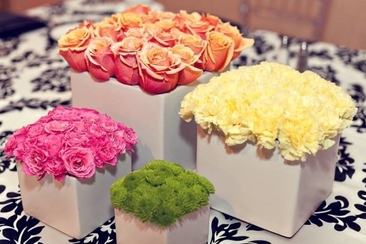 Maybe when you picture wedding centerpieces without flowers, you worry a lack of color will make your décor look dull. 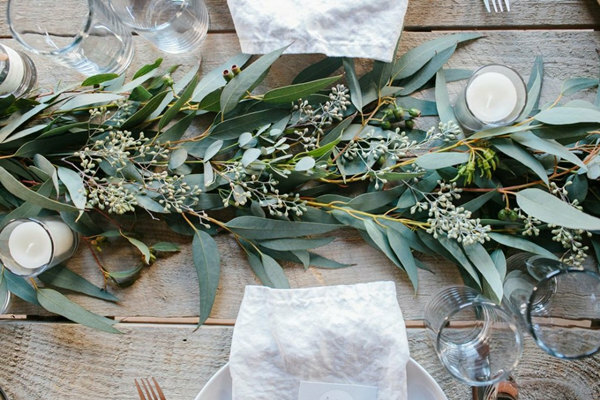 Think about using foliage and greenery for your centerpieces for a bright and fresh tablescape. 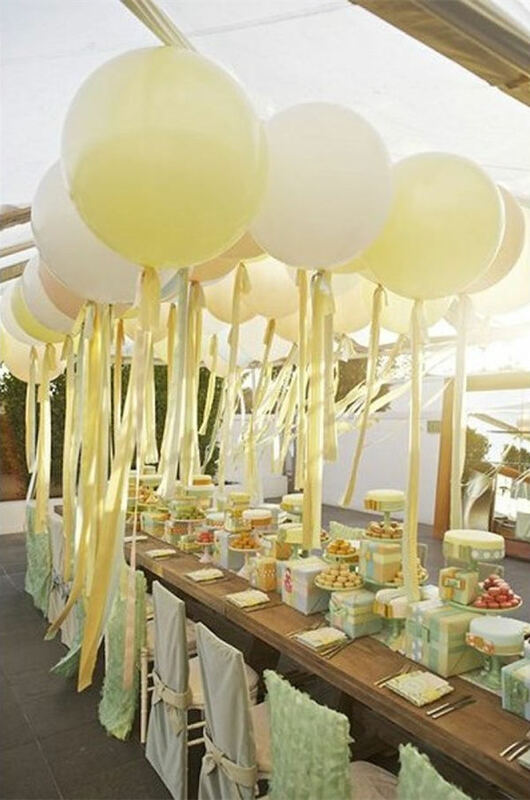 Balloons in the shades of your wedding colors will look gorgeous when filled with helium and tied with a long satin ribbon. Line the center of your table and vary the heights when you secure them down. 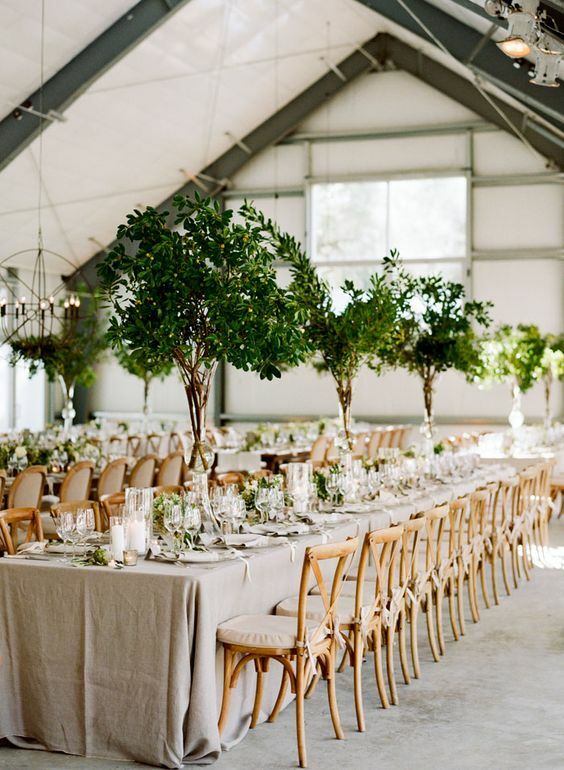 For Tuscan-themed weddings, run greenery, fresh herbs and even grapes down the center of the table and line with candles. Look how amazing it is! 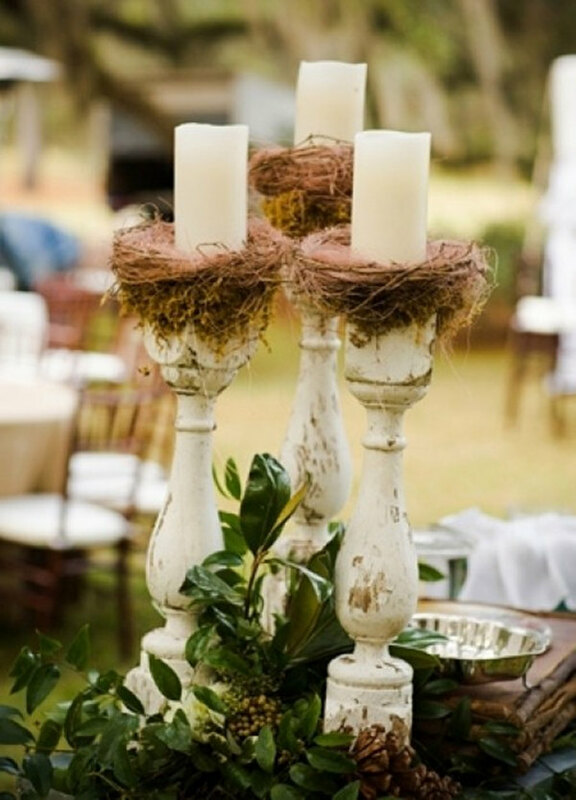 Create a cozy nest for your candles to rest in as they perch atop rustic candleholders. Add some foliage at the base for a pop of color. Money can't buy happiness but it can buy cupcakes! 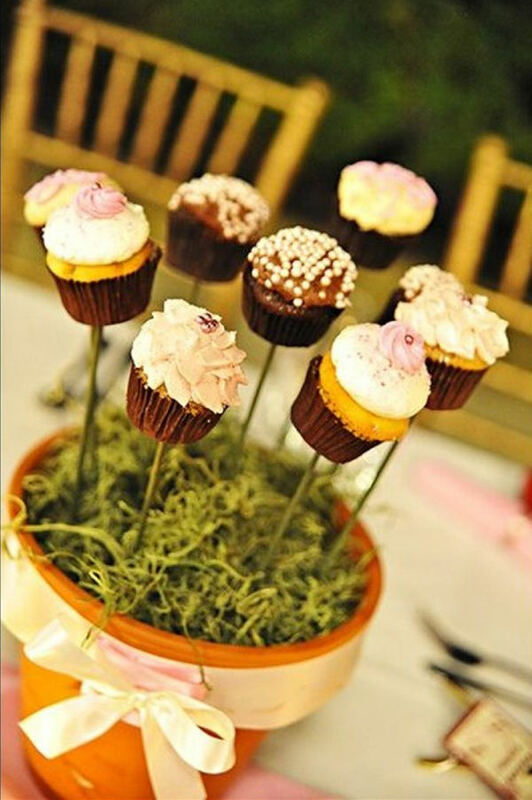 An edible centerpiece is a great way to add some fun to your décor without wasting money on stuff that will be binned when the wedding is over. And let's get real...everybody loves cupcakes! Artichokes have a very unique and intriguing shape that make them great options for wedding centerpieces without flowers. Pair artichokes with fresh herbs and sprigs of foliage, arrange them in a variety of pots, vases and cages. A small wooden crate can be a great starting point for your décor. Add a pop of color with berries and fresh herbs. A 20-something writer with a passion for fashion, healthy living and travel.